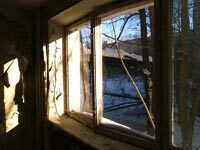 Pripyat City hostels. 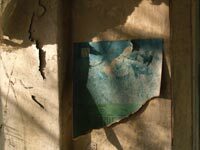 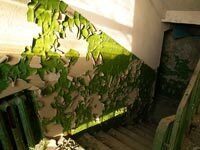 The hostels are in a ruined condition from a combination of the evacuation, attempts to subsequently de-activate and disinfect the area, as well as the usual marauding. 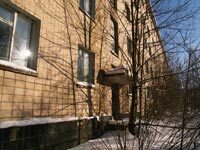 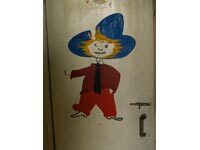 Nevertheless, the hostels keep a peculiar atmosphere of the Soviet era. 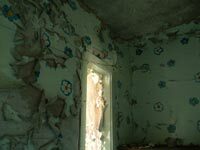 The small and almost insignificant “debris” remaining from the time, still allows one to feel what it was like in the ‘80s. 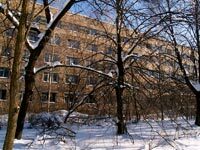 Most of the hostels are in microdistrict-1, the nearest micro-district to ChNPP, the very first area of the then new city on the river bank, Pripyat. 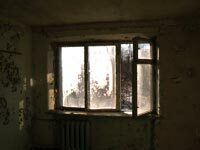 City construction workers and personnel of ChNPP were first housed here after being moved from cabin-trailers at the Lesnoy settlement near the Janiv railway station. 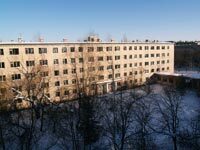 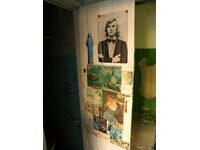 While the word “Hostel” implied habitation here was temporary, many soviet citizens lived in such "temporary" accommodation for tens of years. 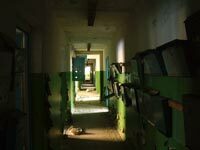 But in Pripyat this was not usually the case. 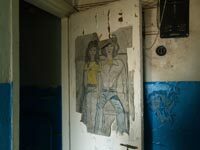 The young soviet city of nuclear station workers had five micro-districts attached to the first micro-district five within 16 years, and there was already space prepared for a sixth - in Pripyat, hostels really were only temporary. 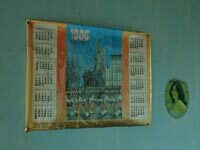 I never lived in a hostel, but I remember well how when I was a kid, I came to visit my school friends living with parents in such places. 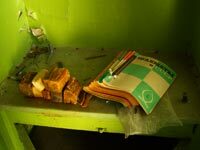 The strict janitor-woman on the entrance would demand a full report on the purpose and object of my visit, the smell of burnt onion from common kitchens always seemed to linger, the footfall and shouts of children echoed in long narrow, dark corridors, water noise sounding from the common shower cubicle... 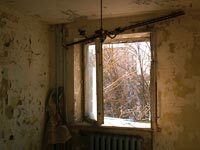 It was a strange and confusing world to me, where people had to live under the laws and guidance of a hostel warden, or to give a more direct translation of the Russian, "commandant". 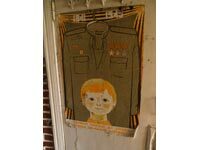 I never saw the hostel warden, but cautiously crept by his door, outside of which was the imposing plaque emblazoned with the word "commandant", which conjured images of something strict and military. 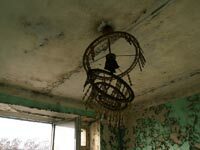 Ah, but in Pripyat it would not be quite like this – at least, there were no common kitchens here, everyone went to a canteen, so there would not have been the same onion-smell. 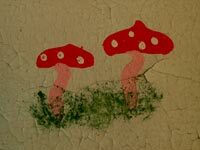 Oh, what more can I say. 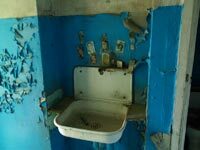 Actually, in the hostels themselves, the water supply system was on in many rooms (even if only with cold water). 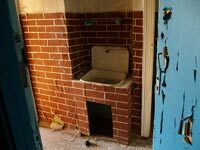 And some had even had a toilet! 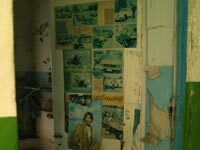 At the end or the report there are some photos of the "debris" of the old era, which I mentioned in the beginning of my story.